Manufacturer Frinsa del Noroeste S.A. 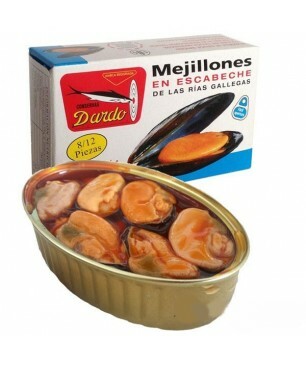 The natural clams Dardo 18 pieces (Galician Rias) is a delicacy unique in the world. 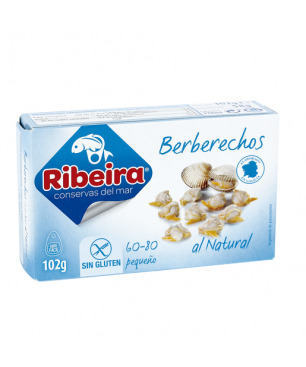 Special for hedonists, those seeking the best product for tasting.Dardo clam comes from Ria de Arosa, namely Aguiño, Ribeira and Isla de Arosa, all areas where seafood becomes a size, color and taste superb. Ingredients: Clams, water and salt. Net weight: 118 gr. 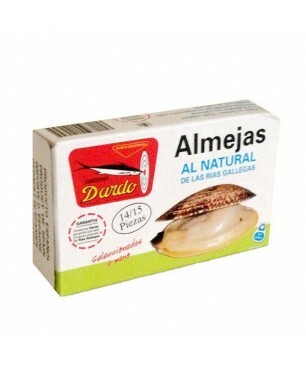 The natural clams Dardo 25 pieces (Galician Rias) is a delicacy unique in the world. 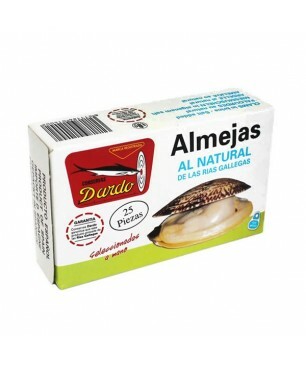 Special for hedonists, those seeking the best product for tasting.Dardo clam comes from Ria de Arosa, namely Aguiño, Ribeira and Isla de Arosa, all areas where seafood becomes a size, color and taste superb. Ingredients: Clams, water and salt. 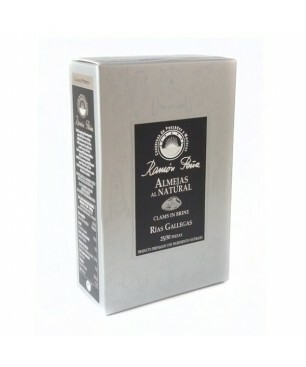 Net weight: 118 gr. 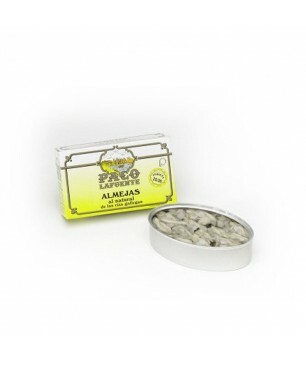 Octopus 'Galician-style' Paco Lafuente, made in the traditional way, selecting and packing without adding any chemical. 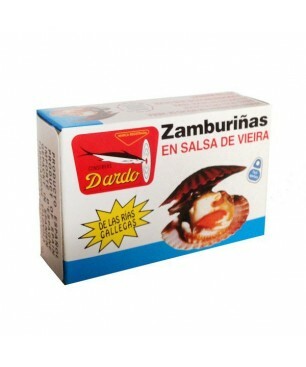 They preserved the highest quality products which come from Galicia. 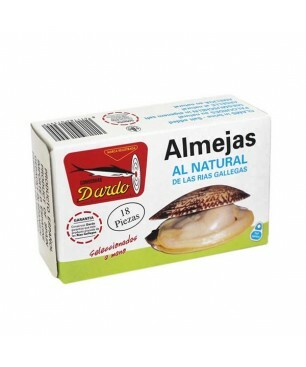 Net weight 115 gr.Ingredients: octopus, olive oil, garlic, spices and salt. 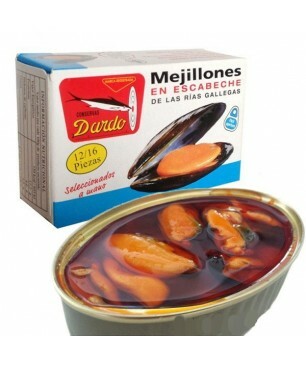 Mussels fried in pickled sauce Ramón Peña (Rias gallegas) 8-10 Uds "Black label"
The Ribeira’s natural razor shells come from Galician estuaries, which guarantee quality and unique flavour. Like from the net to the plate. We advice serving them in salad or only adding a bit of lemon. Net weight: 111 gr. Drained weight: 63 gr. 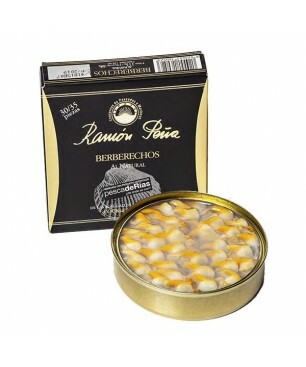 The Ribeira natural cockles have been cached in Galician estuaries, which guarantee an incomparable flavour with high-quality. Like already cached, from the net to the plate. 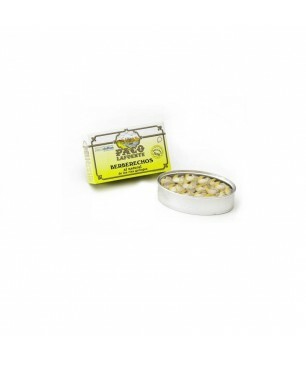 We recommend serving them with a bit of lemon, extra virgin olive oil and a bit of salt. Net weight: 102 gr. Drained weight: 58 gr. 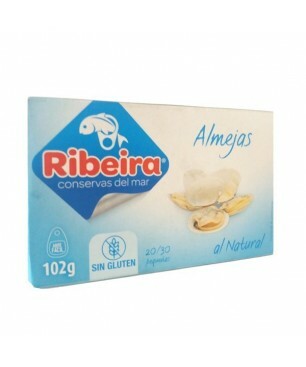 Those Ribeira natural clams come from Galician estuaries, which guarantee a unique flavour and a high-quality product. 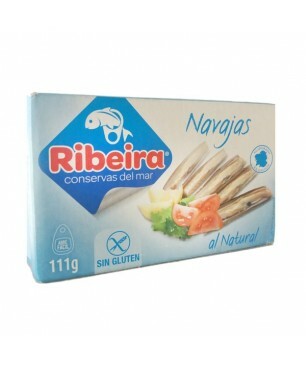 Those clams have been treated with a process which eliminate sand remains and keeps its flavour. 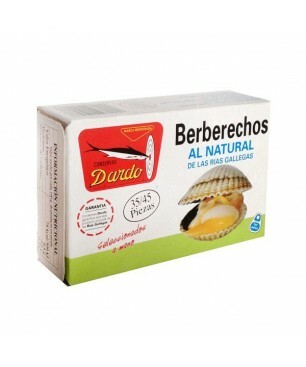 We recommend consuming it as appetizer with a jet of lemon or in a seafood salad. Net weight: 111 gr. Drained weight: 63 gr. 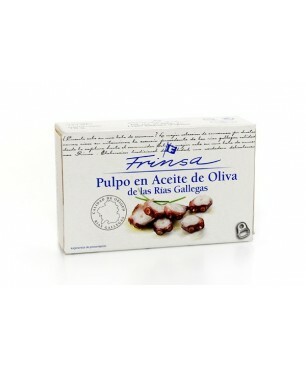 Octopus in olive oil Frinsa 111gr. 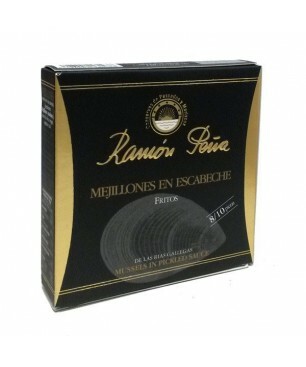 Ramón Peña natural cockles 30/35 "Black Label"